Rio Verde is a municipality which is located in the centre of Sudoeste de Goiás Microregion. It is home to around 235,360 people. 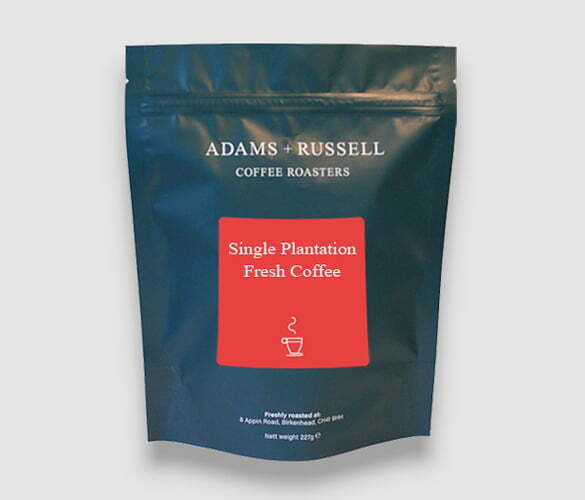 This region creates a delicious, smooth and full-bodied coffee. This unique blend is slightly citric and has noticeable acidity and evident floral overtones. Its soft and mellow sweet taste stands alone producing distinct fragrances and aromas. The aftertaste is long, pleasant and has a hint of almond. 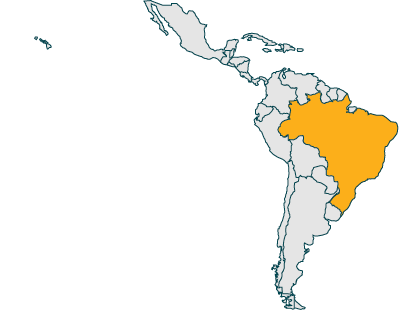 Brazil has 14 major coffee-producing regions, all with a range of complex variety of beans. Where are our Brazilian Coffee Beans Grown? Our beans are grown at an elevation of 800-1350m, which produces a very high quality bean. Fazenda Rio Verde is situated in the middle of the beautiful Mantiqueira mountain range, surrounded by forest, waterfalls and hiking trails. ‘Fazenda’ translates to ‘farm’ in Portuguese, and this coffee farm has been around for over 100 years. This peaceful, undisturbed mountain range is where nature thrives and only 40% of it is used to grow coffee. The average temperatures range anywhere from 18 ºC to 23 ºC. Fazenda Rio Verde receives around 63 inches of rainfall every year. These are optimum conditions for coffee growing. These conditions create consistent high-quality beans. However, due to the varying amounts of sunlight on the land, each cup may have slightly different characteristics, but all being delicious. Founded in 1532, the Port of Santos is located in the city of Santos, state of São Paulo. In 2006 the Port of Santos became the busiest container port in Latin America, according to Wikipedia. What contributed to its success was the major overhaul and modernisation in the early 20th century, eliminating the risk of diseases and providing the port with a much more safe, industrial-age infrastructure. Coffee was the main export of this port until the Second World War. It is now a slightly smaller component amongst cars, machinery, orange juice and soybeans. Delicious brew! Can’t beat Adams and Russell roasting. I like all Brazil coffees they are nutty aswell as being smooth, I’ve seen this Ipamema on few sites but this one worked out the cheapest so I opted for it and wasn’t disappointed.